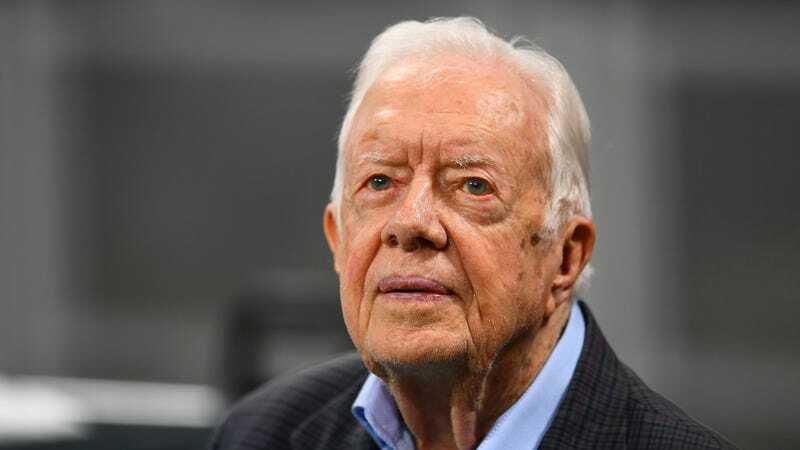 PLAINS, GA—Admitting that current polling numbers caused him to rethink plans for the upcoming presidential election, 39th president Jimmy Carter told reporters Wednesday that he was concerned that the desire for fresh faces in the Democratic Party might hurt his chances in 2020. “I’ve definitely been considering a run, but if Democratic voters are so focused on getting someone new in there, it’s going to really put a damper on my ability to rally the party,” said Carter, 94, who worried that his record, including last holding public office almost 40 years ago, would turn off voters who wanted someone younger. “I really think I have the vision and policy proposals that could unite a broad swath of voters, but my advisors are telling me it will be pretty hard to gain the nomination in the face of calls for new voices in the party. I’m not calling off a run just yet, but I’ve got to consider the hard truth that my time to be the face of the Democratic Party may have passed.” Carter added that he had never forgiven Ted Kennedy for mounting a campaign against him in the 1980 primaries and handing the election to Reagan.